The Mobile App Development may look easy and straightforward, however, the real challenge takes place once the app has been deployed - at this time all bets are off. This is because an app needs to deliver a seamless and fast experience for users across multiple networks and low powered devices. When it's about building mobile apps, uncontrollable user behavior can lead you down the path to death by 1000 papercuts. Thus, recognizing and carefully handling the pitfalls at the time of application development can set a successful development to deployment and scale massive users. Once an app is successfully launched with features and functionality - ready for user's download. The next step follows by the fact, that those users must continue to use the app for long. As we know, the average mobile app retention rate is 20%. The figures look wonderful, the whole 80% of user never use the application after trying for the first time. Well, the scene behind this is - the users have an endless range of app choices, and of course, an issue in performance quickly leaves the user frustrated as the competition is undoubtedly tough. Thus, it is necessary to maintain the app engagement, real-time alerts, and notification that are comparatively easier to implement and powerful for maintaining a direct connection with the user. In order to ensure push notifications, desktop alerts, SMS, email - there is a different way to deliver timely information to users when the app stops working. When you are developing an app, ensure that the app meets the future trend requirement along with the present trend. It must pose features that can be integrated to meet the future need as well. Whether your overall user count has exponentially grown and you are supporting thousands (or hopefully millions) of concurrent users, or your app has stayed small but is used globally. In such a situation, take care of scalability. In order to deliver this scalability, what all is important - global coverage and global redundancy. Global coverage refers to have multiple points of presence that automatically connect users to the closest data center. For instance; users in Tokyo should experience the same connectivity as users in New York, this will provide reliability to users on a Global basis. The global verbosity means ensuring - robust failover and data catchup built into the infrastructure: this ensures that users receive the advanced, most appropriate updates. This approach considered as the basis of the technology revolution is tightly-coupled. And if we take into account the spectrum, apps that are modular are loosely-coupled or decoupled. This means that the app is composed of independent microservices, as well as other programs that operate autonomously. Whereas, a decoupled architecture defends against failure when modifications are made as it involves less risk of other microservices failing; while something goes wrong, it’s easier to resolve the issue. Further, when it comes to mobile apps development, adopting a decoupled architecture empowers to build more scalable and extensible applications, rapidly. As far reliability is concerned, microservices are isolated, thus the failure of a single service shouldn’t impact the other services. Fault isolation ensures that your mobile app itself is flexible to unexpected happenings. For instance; your push notifications service has an interruption, the rest of your application will continue to function usually, and because microservices themselves are individual components. Therefore, it can be easily set up for different push notification service until your primary one is ready for operation. Microservices are also highly responsive to playing nicely with third-party services. In building mobile apps, it requires lots of time (or, in some cases, the expertise) to build every feature and function from scratch. Microservices enable quickly deploy challenging features like artificial intelligence and reinforce security with developer tools to strengthen feature-rich, reliable apps. The digitalization is prone to hacking and online credential theft. Therefore, when it comes to advanced mobile applications, security must be a crucial afterthought. No matter, whether you’re protecting user’s data, the data sent and received in transit, or your app itself. For Instance; The data in transit as any message flowing over a real-time data stream. It can be a chat message or a financial stock price, an IoT reading, or a push notification. There are core security provisions for data in transit that actually are table stakes. AES/SSL/TLS encryption must be included in any mobile app on every message. There must be end-to-end security, this means message should be encrypted before it is sent and decrypted once received. Apart from encryption, fine-grained access control is also mandated: With full control over "who can read" and "who can write" - data in your mobile app, will greatly improve the facility to prevent proscribed access to the application. 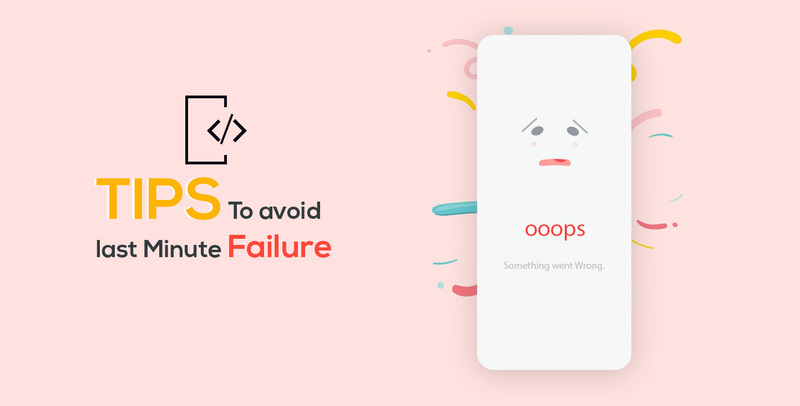 It is crucial for any Mobile App Developer to avoid the last minute failure to check the risk that is associated with Application Development. We work on the latest ideas! Let’s work together to make your dream app come true and our passion for technology do wonder for it!